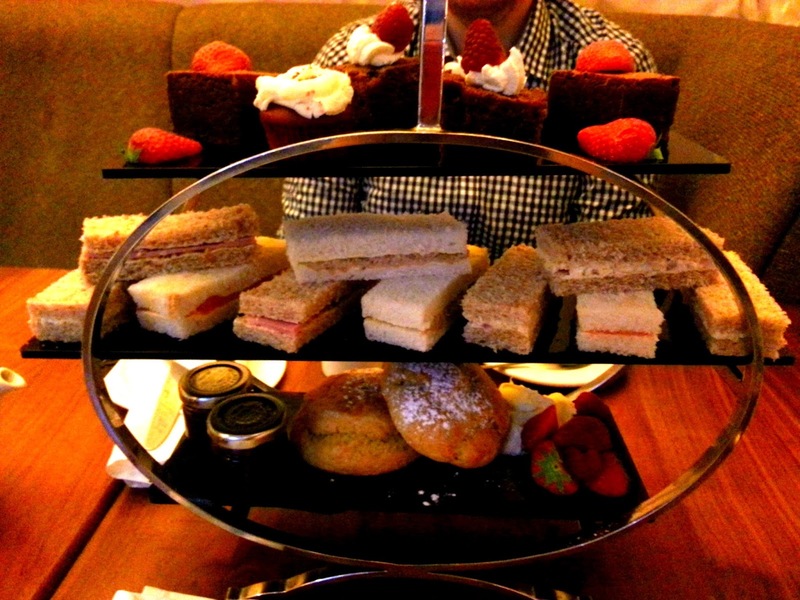 A few days ago the boyfriend and I spent a few days in Liverpool, and as a rule when visiting any city, I booked afternoon tea. 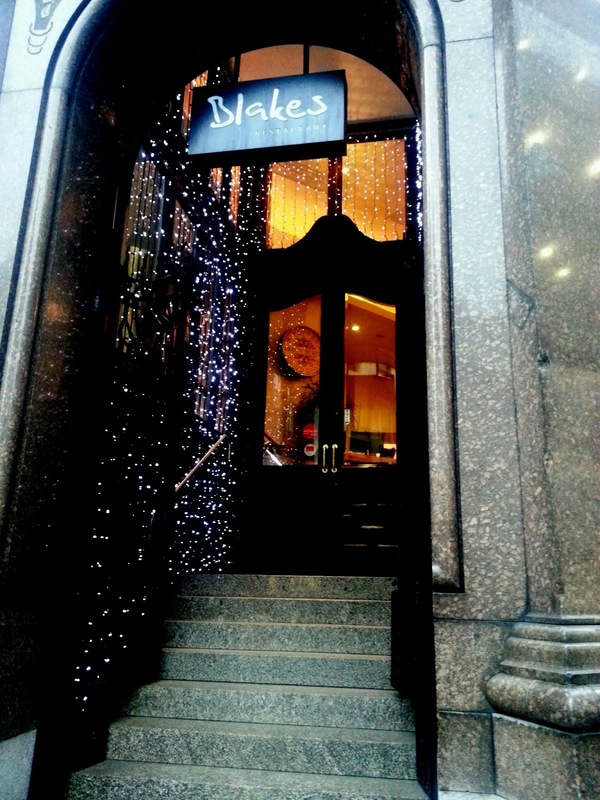 My choice of venue was Blakes Restaurant in Hard Days Night hotel - As always, I did my research beforehand and this had fairly good reviews. Also the hotels' theme was The Beatles, and my boyfriend is a big fan of these, so it kinda made sense. 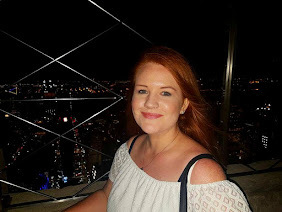 We walked past the hotel several times the day prior to our booking, and I felt like I was in for good things - the exterior of the hotel looked pretty grand - marble stairs, gold stair banisters, twinkly fairly lights in the smaller entrance that looked so pretty at night. My expectations grew, naturally. This doesn't look as effective in daylight, but still pretty..
Dinner time arrived the next day and we realised we were a little early for our booking. Instead of wasting time, I decided to show up early and try our luck.. some places can be quite accommodating for early arrivals, however others suggest to sit in the lobby and order drinks. We entered the hotel and it wasn't really clear where to go - there was a reception that I assumed was for guests staying in the hotel. Next to this there was a hotel lobby where several people were sat around. Around the sides were booths, and across the other side was a bar. I approached the barmaid and explained we were here for afternoon tea. She suggested to take a seat... which we did. She did not however ask if we had a booking, or where we wanted to sit (in my booking I got a choice of rooms which I could select). I was under the impression (like many other hotels I've visited) that we would then be directed into a separate room specifically designed for these occasions. As we began to sit down, the member of staff suggested we opt for a larger table, and it soon became clear that in fact the afternoon tea was being had right here, in the open lobby. My expectations immediately began to plummet. Luckily for us, we had opted for an early booking (12.30), so most booths were available. We immediately headed for the furthest one away, however I still couldn't help but feel exposed. The booths themselves were sophisticated, with white drapes as the backdrop, and The Beatles memorabilia to accompany them. I had my back to everything, so my view got boring pretty quickly (sorry Mike!). 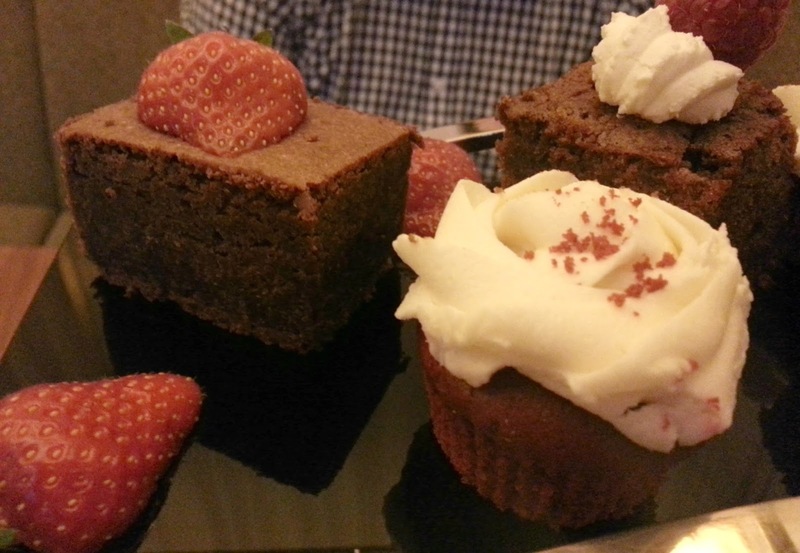 I suppose I could have sat next to my boyfriend for an outward view but when having afternoon tea I think its only natural to be sat opposite each other in regards to helping yourself to the food! I also found the whole environment fairly exposed and lacked the peaceful environment that I associate with afternoon tea. Knowing you are only yards away from the main reception that guests checked in and out of took that 'special' feeling away from the experience. It felt like privacy had not been considered here, and the environment is quite high on my priority list when I have afternoon tea. On the flip side to that, my boyfriend being a Beatles fan, commented how for him, the environment was good due to the music being played and the references to the band which were on display. The second disappointment came with the table layout - our tables were bare when we arrived, and the bare minimum was provided to us during our stay. There was no traditional sugar lump bowls, no cutlery laid out until we had sat down, and the attention to detail was minimal. 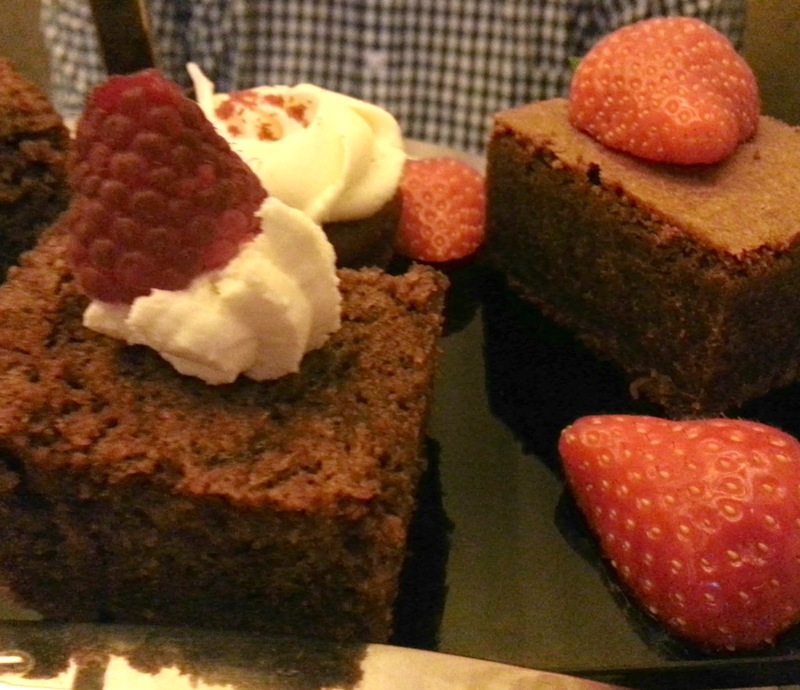 The crockery itself was very plain (something else that is on my tick list when it comes to afternoon tea!... Yes, I'm very fussy!). We were asked what we would like to drink, being given only 2 options; "Tea or coffee?". 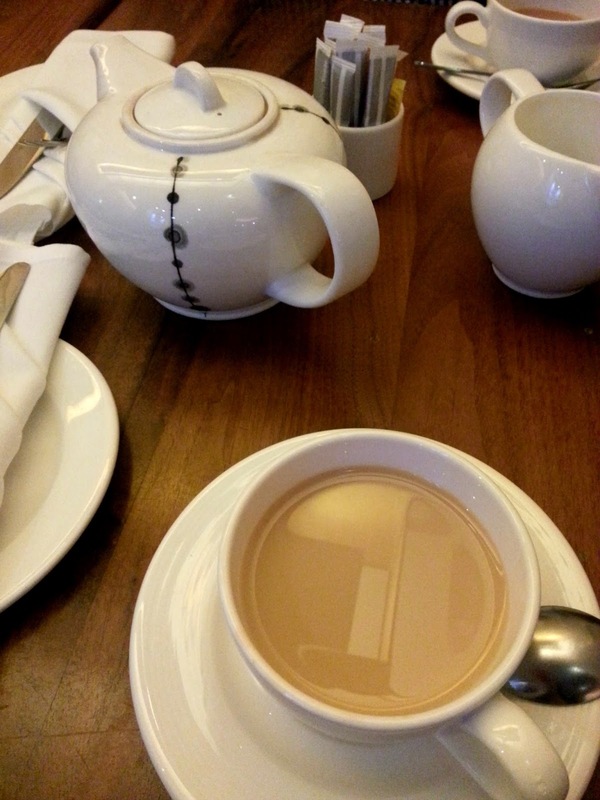 I requested tea, which I was then asked if I had a particular choice of tea, however no drinks menu was provided. The food arrived shortly after, and was displayed on a very modern stand. 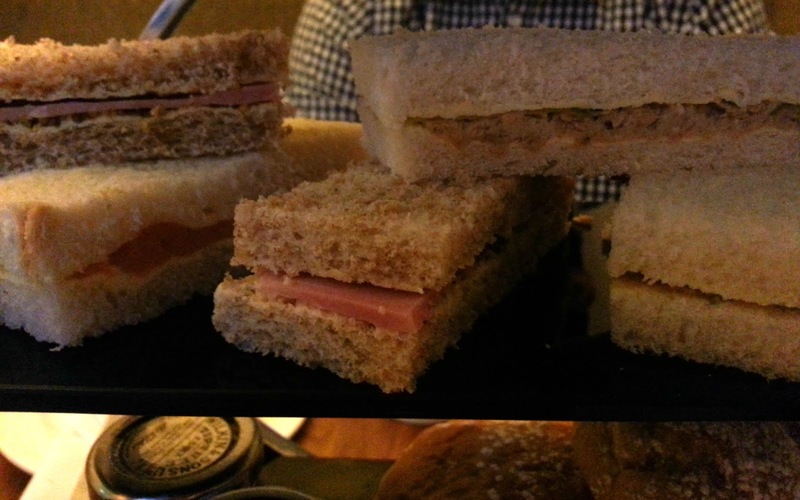 The selection of sandwiches were typical for afternoon tea - Egg Mayonnaise, Tuna & Cucumber, Salmon, Cheese & Onion, and (what I think was) Roast Beef & Mustard. They were nice enough, however I noticed the bread was beginning to go slightly hard at the edges, but it was all edible. 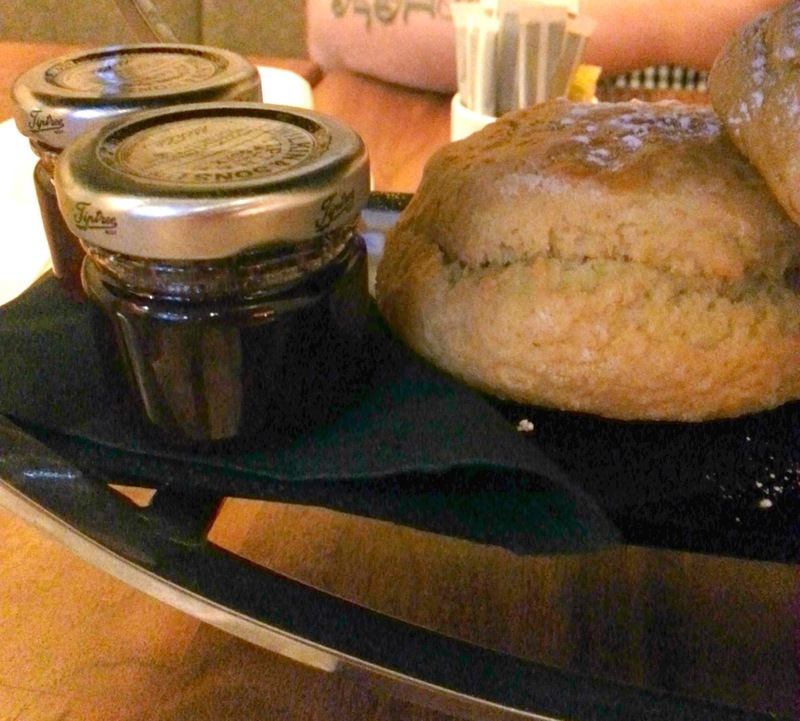 The scones were nice (and warm, another tick box for me!). These were plain and were accompanied by a pot of jam each and some clotted cream - The cream was placed on the stand alone without a container, which I found unusual yet effective. The price is usually £17.99 pp, however we managed to get a mid week deal of £22 in total, which was a bonus after my disappointments. 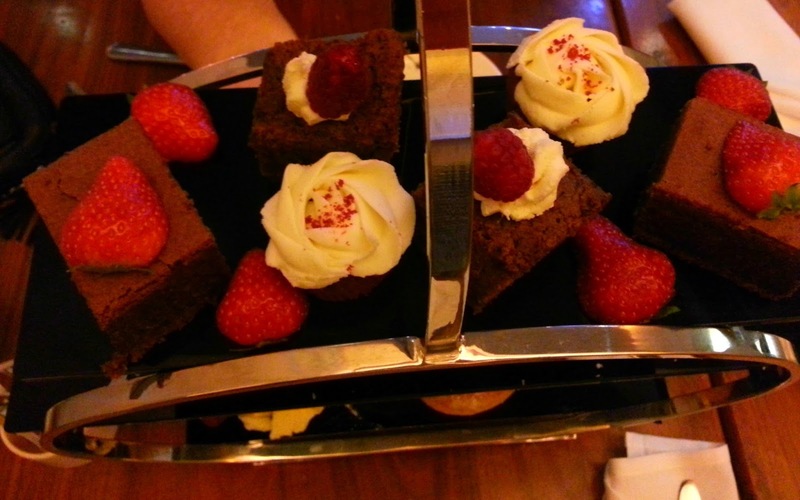 All in all, this was a very modern afternoon tea - if you're after traditional afternoon tea with sugar lumps, tea strainers, floral kitsch crockery etc, then this may not be for you. Unfortunately for me, the setting was a complete let down for me, as was the lack of attention to detail. The whole experience didn't feel 'special', the service didn't feel 'special' and the environment certainly didn't feel special. However this again is down to personal preference. Having experienced several afternoon teas now at certain venues throughout the country, I have my expectations set pretty high. 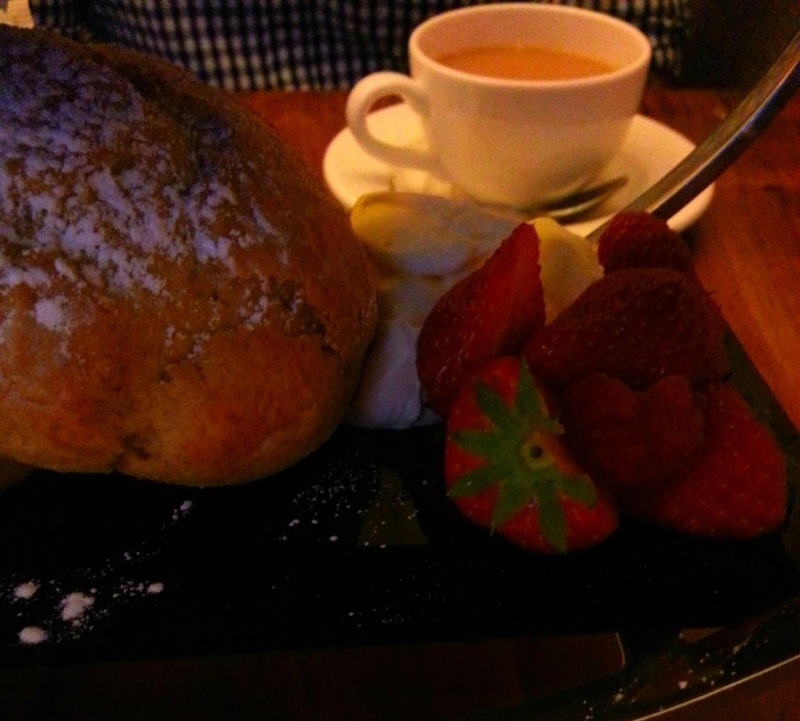 Where is the best place you've had afternoon tea? It's a shame, doesn't sounds like this really had the "experience" that you expect to receive with afternoon tea. I always want it to be a little more special than just grabbing tea and sandwiches at a restaurant!